Through the years, the Los Angeles music scene has become a proving ground for first-rate bass playing. It’s where players can go from underdog to top dog; where musicians get together to jam at The Baked Potato, Spazios, or Charlie O’s; and where bassists continue to flock to set the standard for others to uphold. Following in that rich tradition is Adam Cohen, who has earned a reputation as one of L.A.’s top-notch pluckers. His sensitive yet powerful accompaniment and lyrical soloing has – in addition to making him a favorite among artists, bands, and composers – also put him in the challenging yet satisfying position as leader of his own band. Indeed, Adam’s prowess on both the upright and 6-string electric bass has led to live and/or recording stints with a wide array of artists, including Grant Geissman, Ernie Watts, Ray Charles, John Klemmer, Maxine Nightingale, Scott Wilkie, and Tim Weisberg. As a recording artist, Cohen’s playing and composing is showcased on his two solo albums – 1994’s Gig Bag and the soon-to-be-released Ritual. 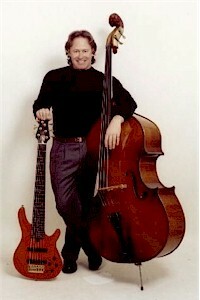 As an educator, Cohen also participates in clinics and is on the faculty of the Los Angeles Music Academy in Pasadena, CA. Interestingly enough, piano—not bass—is the foundation of Adam Cohen’s development. Born in Queens, New York, Adam’s introduction to music began at age 5 in the form of piano lessons given his father. At age 14, his attraction to the sound of the bass as both a supportive and melodic instrument led him to private study with classical bassist Frank Blake. 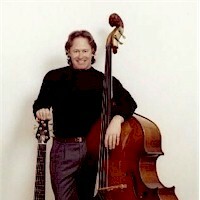 In addition to his lessons on the acoustic bass, Adam began honing his electric bass chops emulating the styles of Verdine White, Paul McCartney, Peter Cetera, Stanley Clarke and Francis “Rocco” Prestia. While still in high school, Adam got the position as bassist for the local college jazz ensemble. This led to an increasing interest in jazz music and the early development of a solo voice on the bass. The next several years brought numerous experiences and challenges to Adam; bassist with the L.A. City College Jazz Band, road work, club gigs and further study with the likes of Bunny Brunel, John Novello, Jeff Berlin, and Gary Willis.